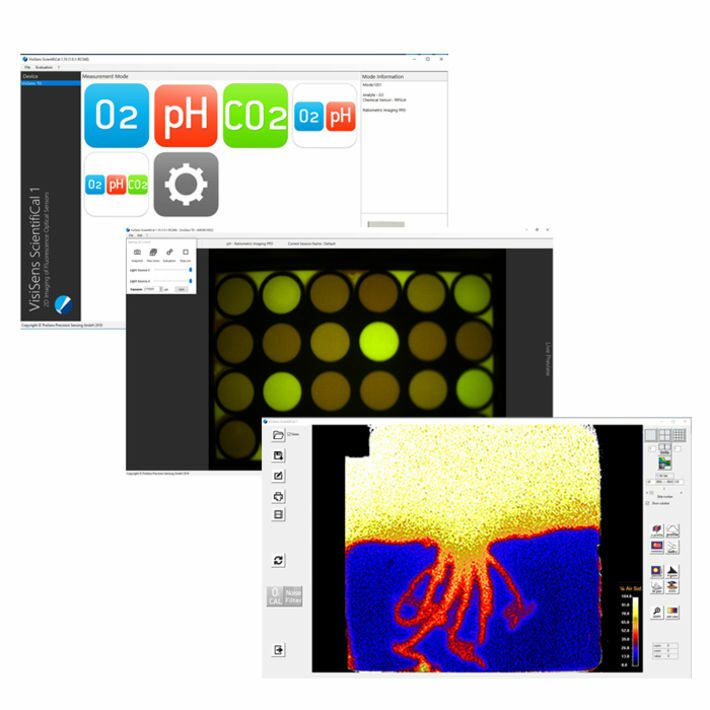 VisiSens TD enables simultaneous 2D read-out of optical O2, pH and CO2 sensor foils within one set-up. Planar sensors for one or more analytes are placed on the sample area or in different cavities and the fluorescent sensor signals are read out pixel by pixel with a camera. Fields of view from mm2 up to 30 cm x 25 cm are possible. 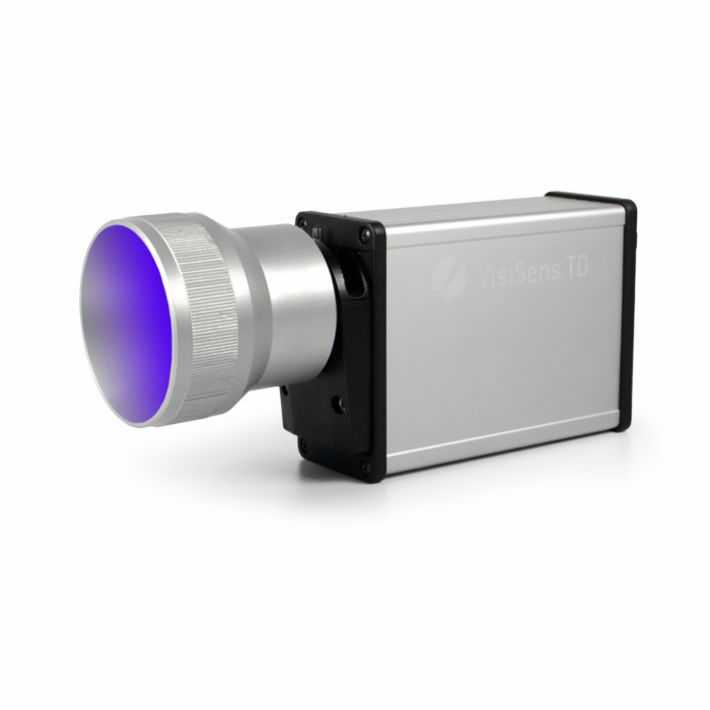 VisiSens TD gives an overview over your sample area and allows to freely choose the region of interest for investigation of spatial and temporal gradients or simultaneous read-out of multiple sensor signals. The modular system can be customized according to the users’ requirements. VisiSens TD includes a modular control and evaluation software. One can choose between different operation modes from single- to multi-analyte modes. Images can be recorded as snapshots or automatic time series. Furthermore, the software offers different evaluation functions for image analyses. 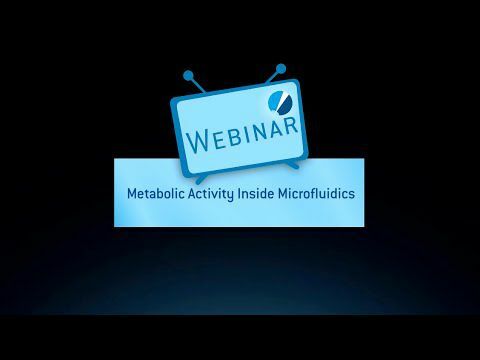 The SF-RPSu4 for measuring oxygen allows non-invasive mapping of metabolic activities as well as changes over time periods from seconds to months. 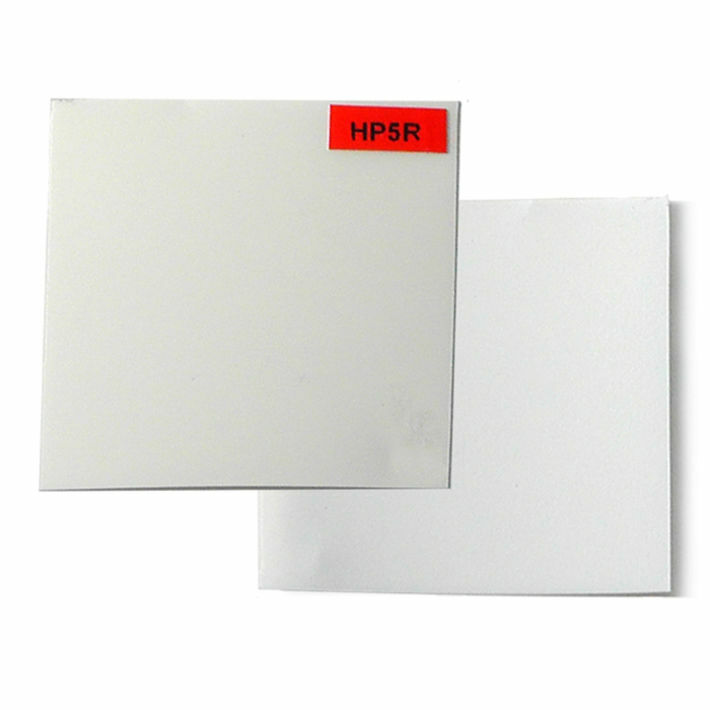 The fluorescent sensor foil is attached on a living or dead sample surface or a transparent glass or disposable vessel. A sensor film on the foil translates the oxygen content into a light signal. The sensor foil is available in different sizes and can easily be cut in any desired shape. Read-out is done contactless with the imaging Detector Unit DU01 or the VisiSens TD. 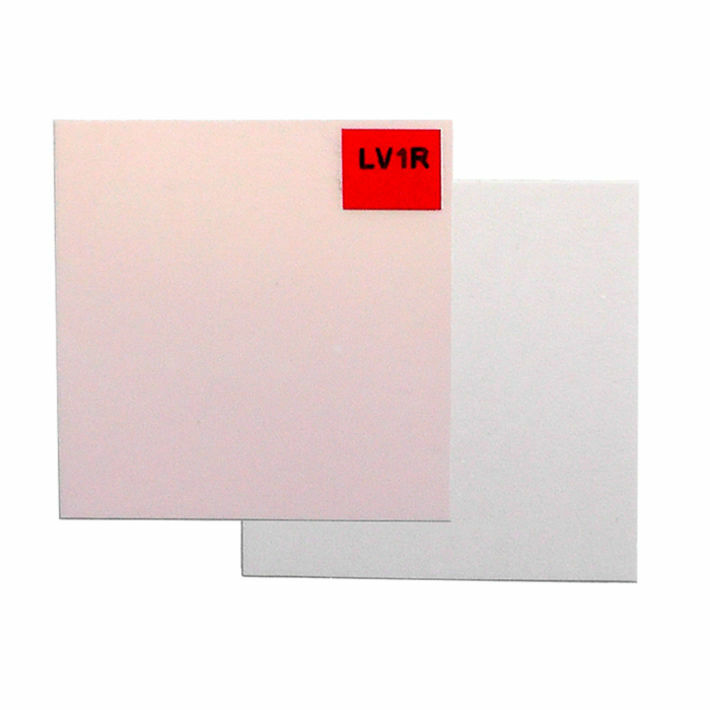 The LV1R pH sensor foils allow for non-invasive mapping of pH in the slight acidic to slight basic pH range. The fluorescent sensor foil is attached on the sample surface or a transparent vessel made of glass or plastic. 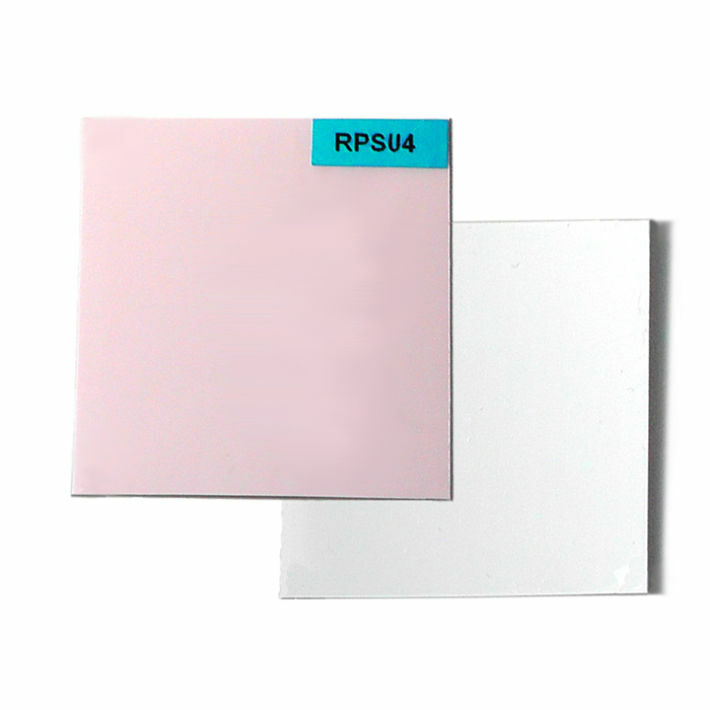 For measurement, the living or dead sample surface is covered with a sensor film, which translates the pH content into a light signal. The sensor foil is available in different sizes and can easily be cut in any desired shape. Read-out is done non-invasively with the imaging device unit DU02 or the VisiSens TD. This chemical optical CO2 sensor foil can be attached to any sample surface or to the inner surface of any transparent glass or plastic vessel. CO2 distributions over whole surface areas are then visualized contactless and non-destructively with the VisiSens™ detector unit DU03 or VisiSens TD. 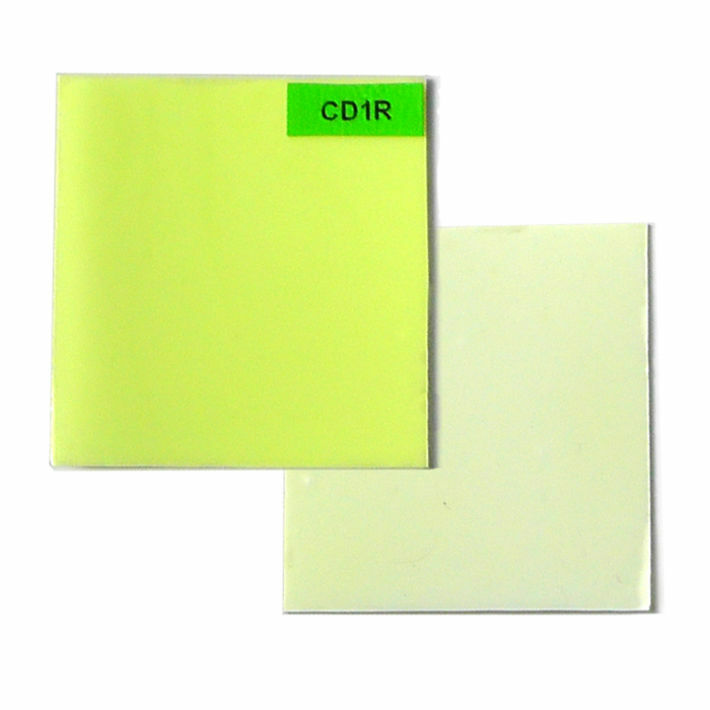 The SF-CD1R is used for measurements in liquids or samples with a constant relative humidity of 100 %, and has a measuring range of 1 – 25 % CO2. 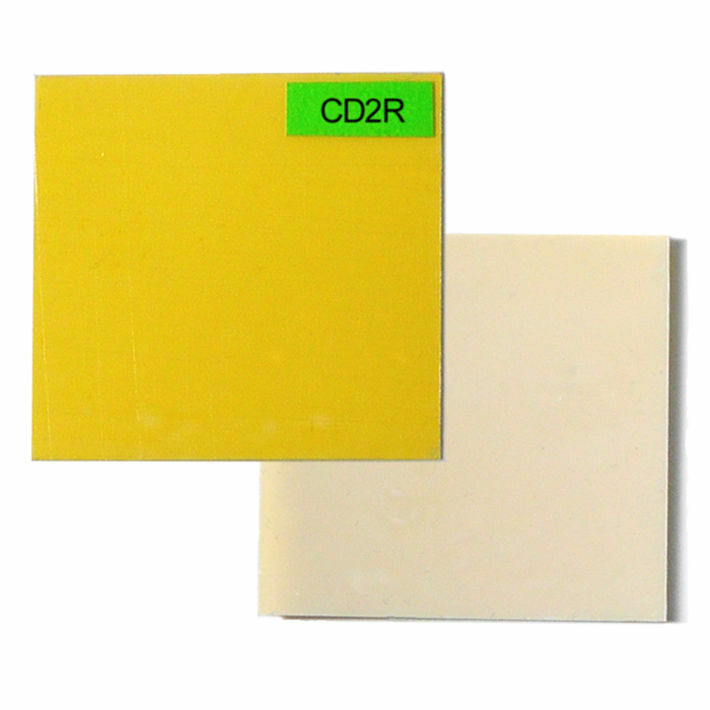 The SF-CD2R can be attached to any sample surface or inner surface of any transparent glass or plastic vessels. Images of CO2 distributions over whole sample areas are then recorded contactless with the VisiSens™ detector unit DU03 or VisiSens TD. The sensor foil is for measurement in liquids or samples with a constant relative humidity and measures the low CO2 range of 0 – 1 %.